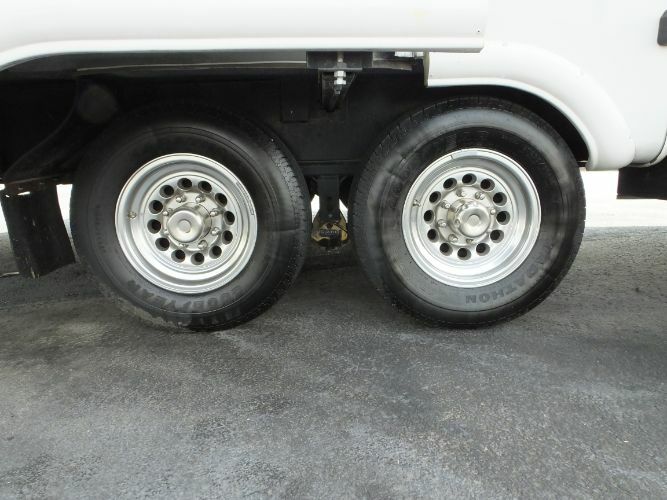 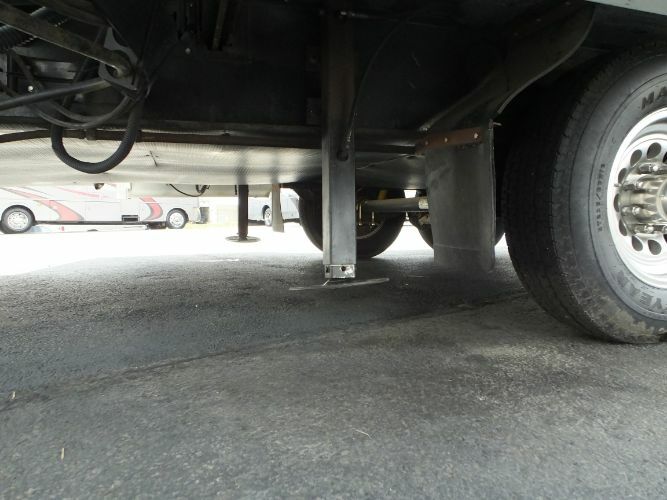 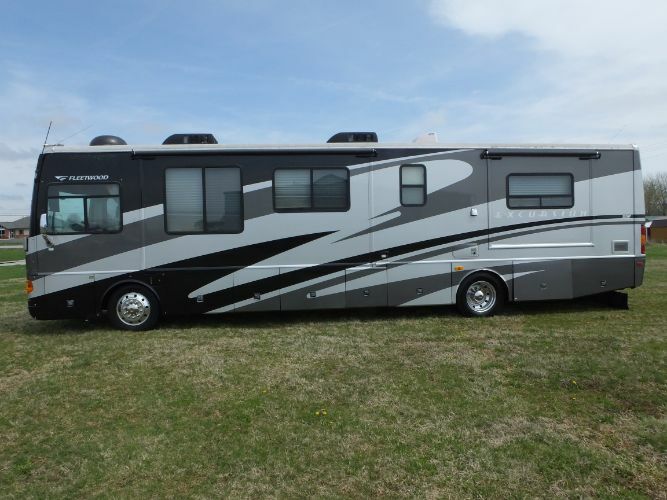 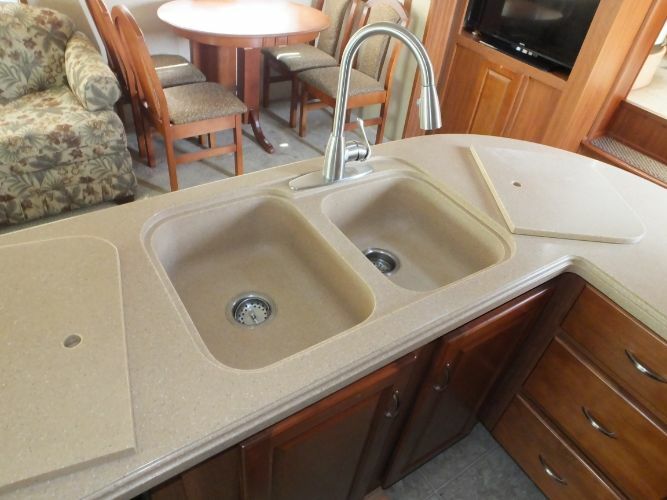 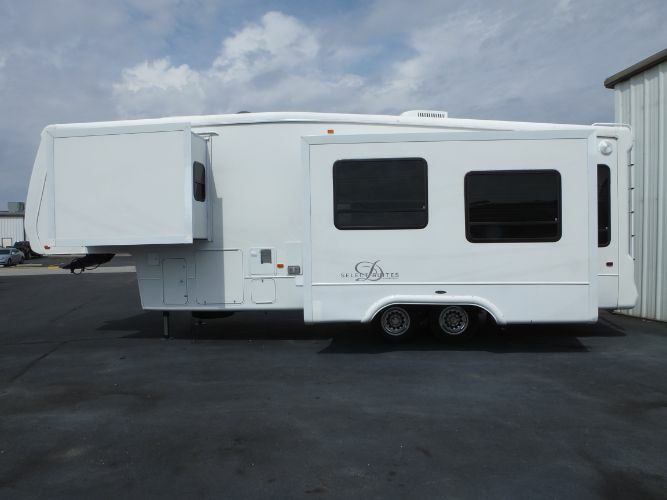 5th Wheel, Three Slides, Leveling System Nice! 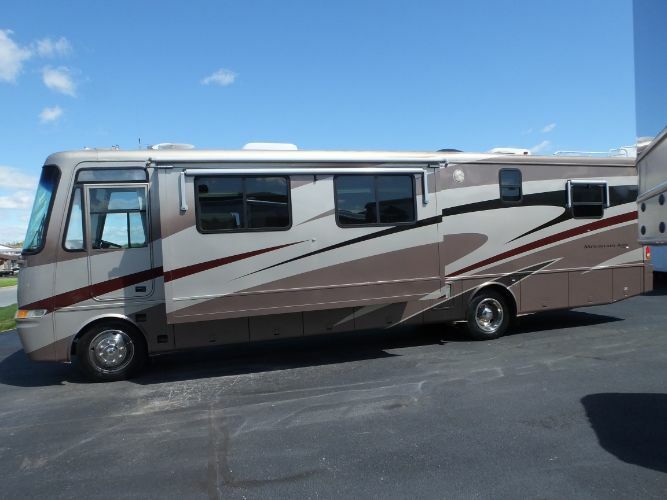 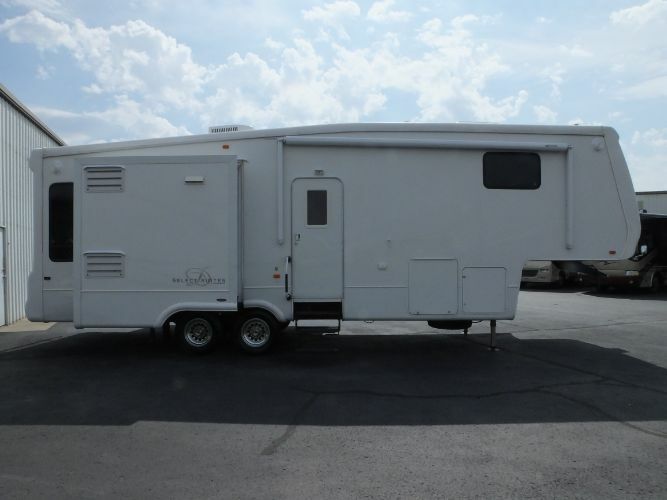 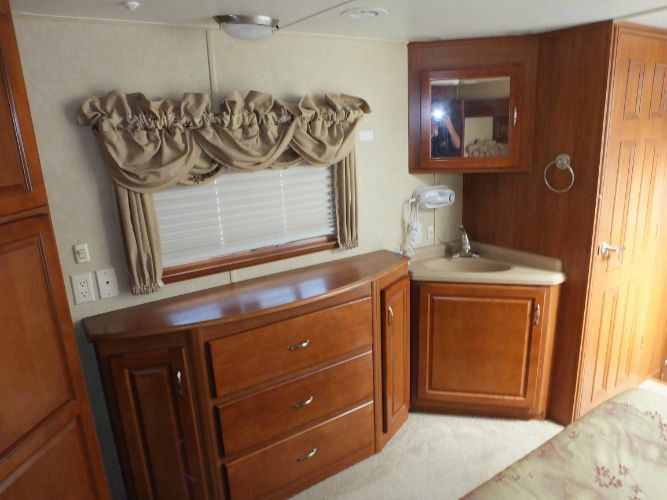 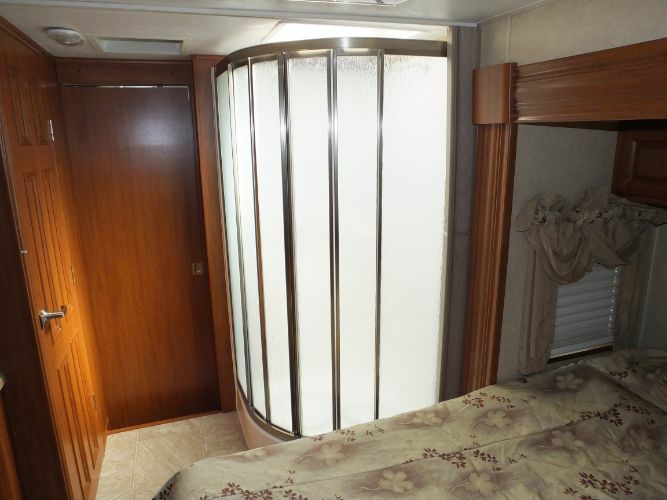 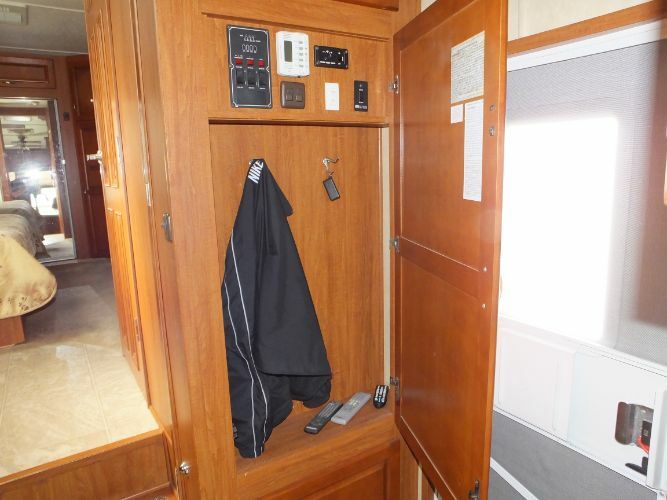 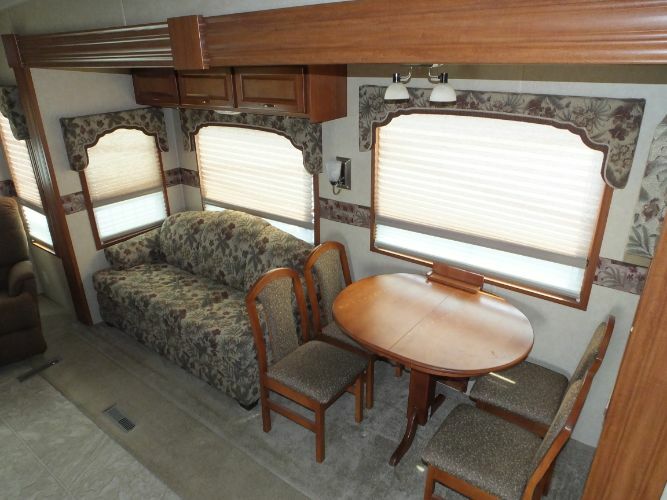 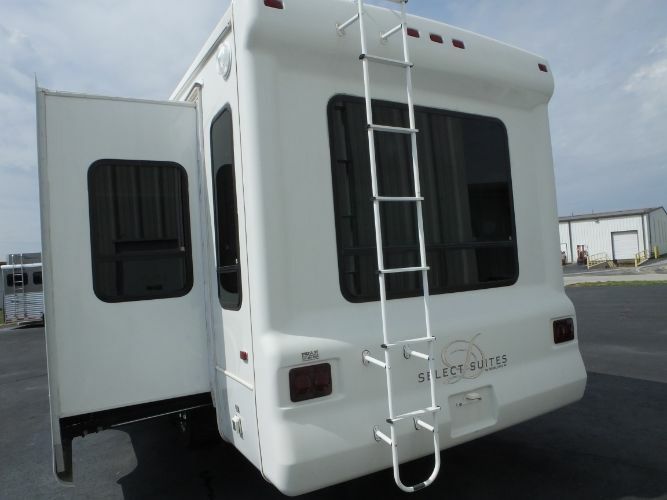 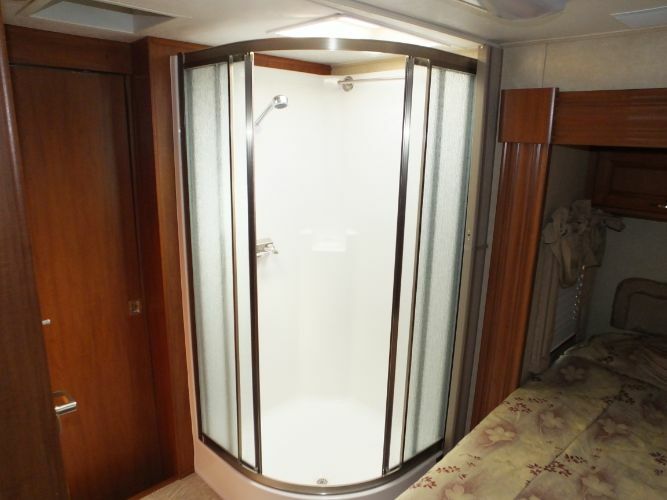 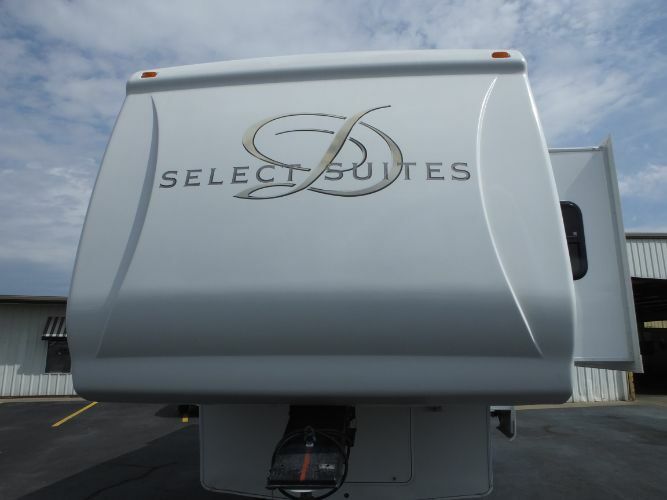 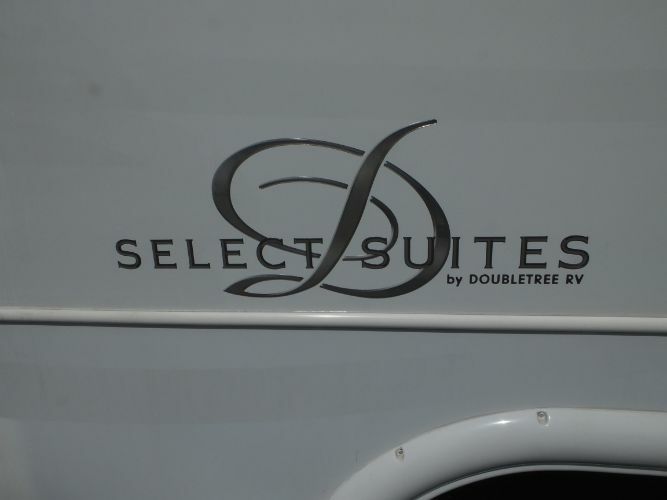 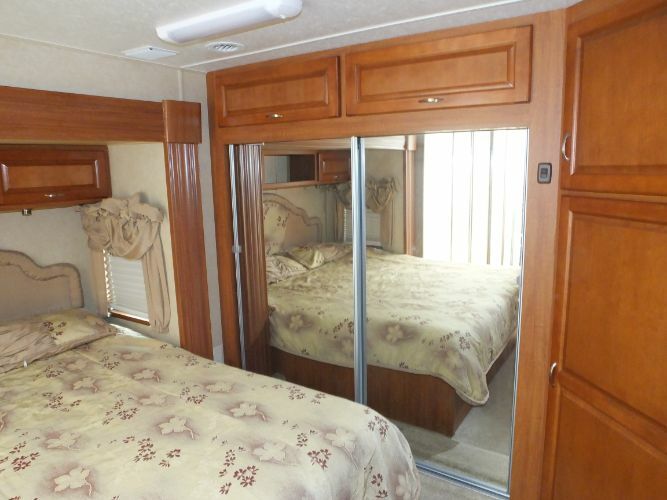 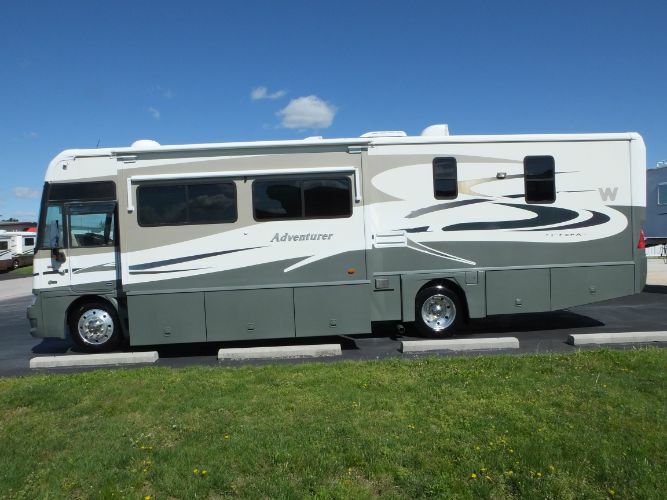 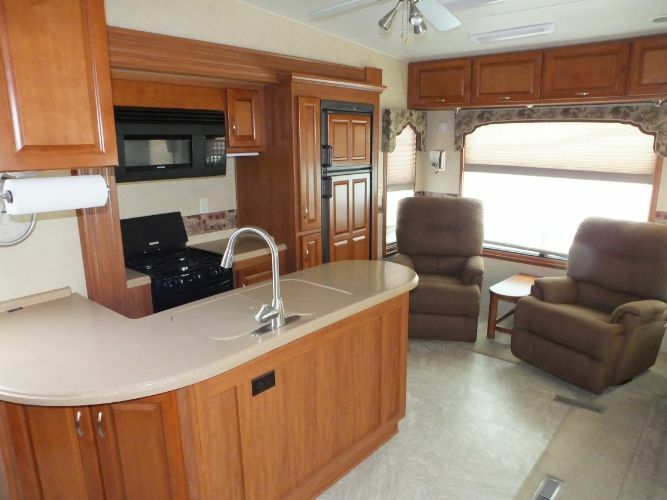 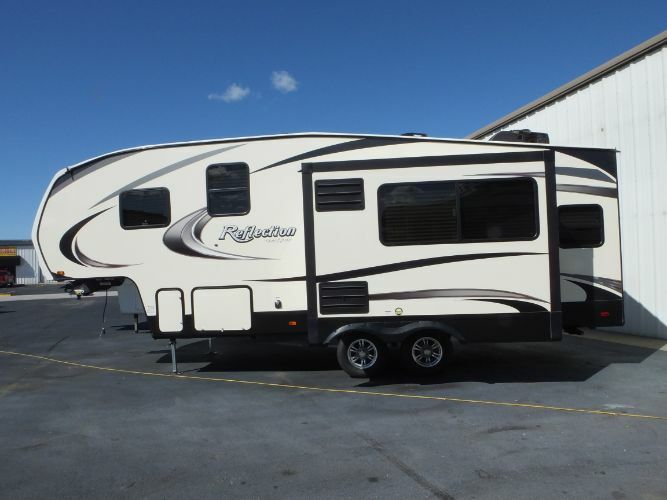 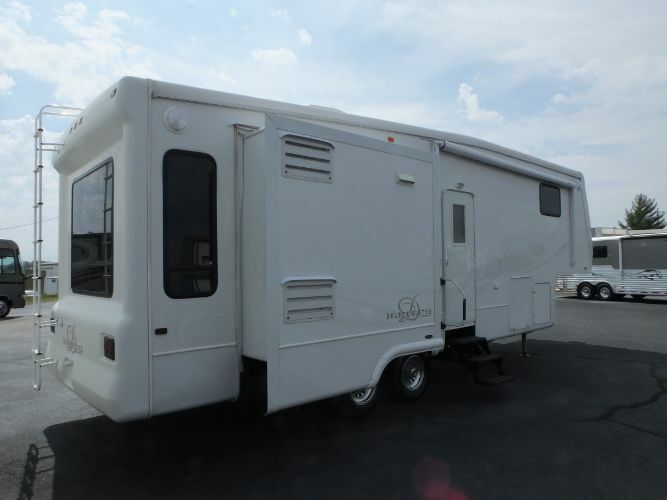 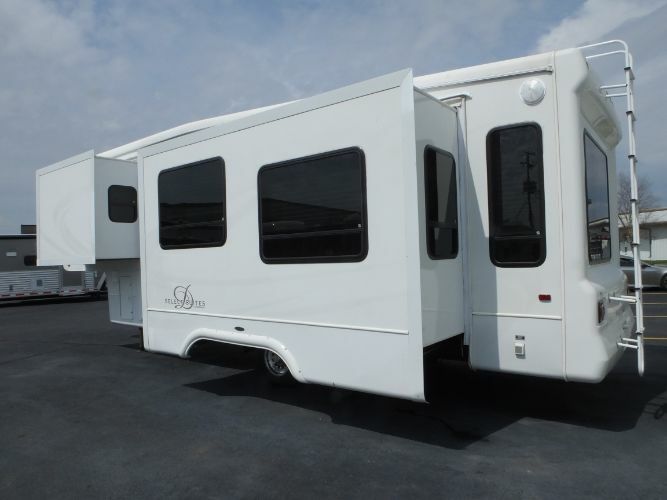 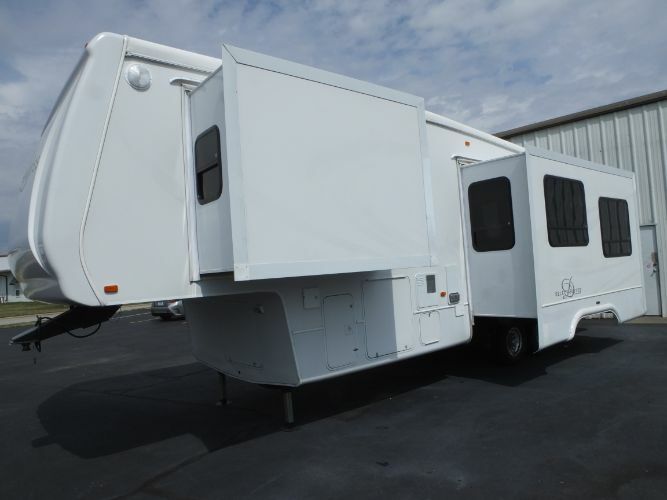 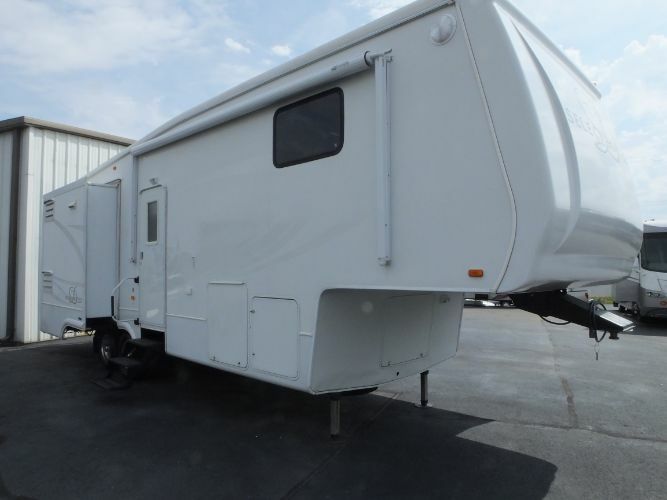 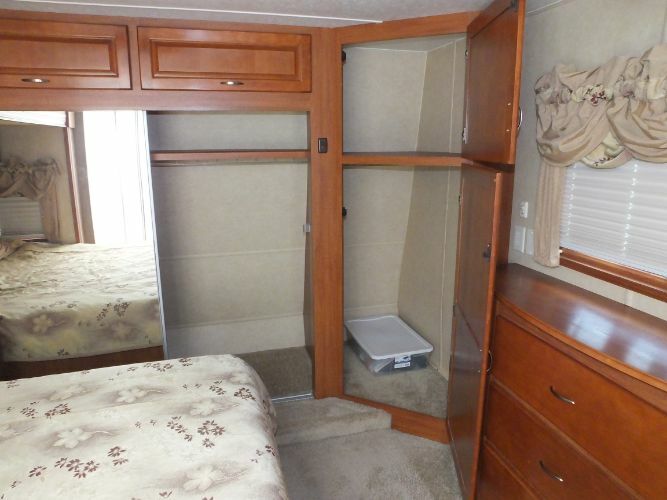 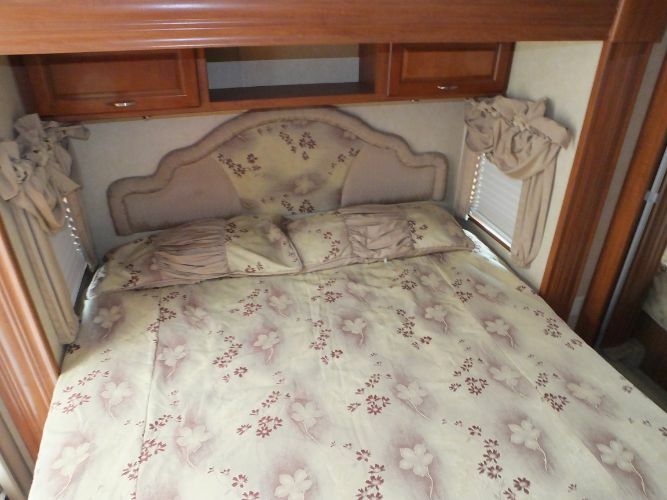 This is a very nice high quality 2007 Doubletree Select Suites 31RL3 with 3 Slides. 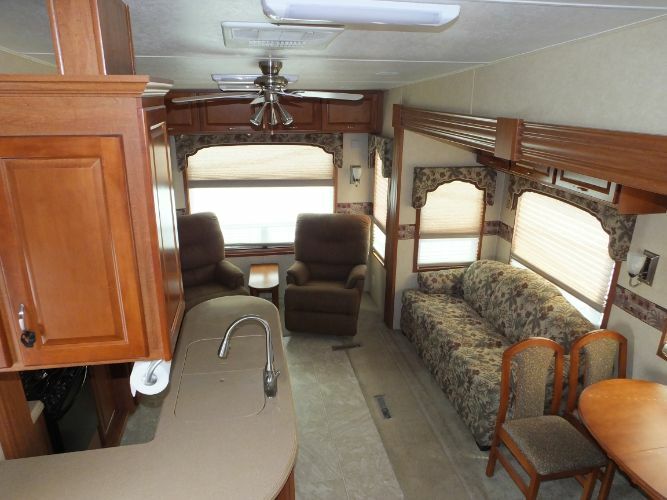 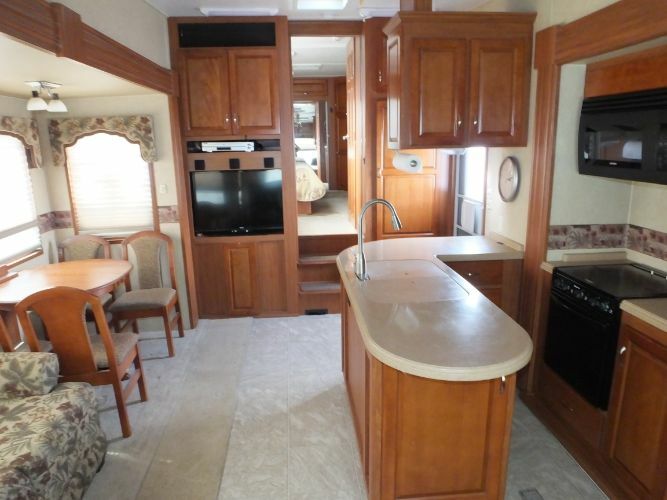 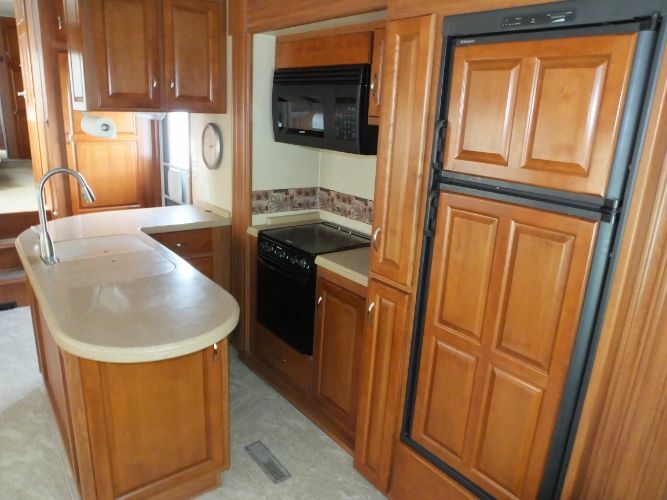 It's 31' long, rear living floorplan with 2 swivel rockers, sofa bed, free standing dining table and chairs, island kitchen, hard-surface counters, real wood cabinets, 3 burner stove with oven, microwave, double door gas/electric fridge, ducted heat and air, ceiling fan, flat panel tv, dvd player, surround sound, large glass neo angle shower, separate toilet room, king bed (trailer sleeps 4), cedar closet, tons of cabinet and drawer space, extended hitch pin design for short bed truck using a stationary truck hitch to eliminate the use of a sliding hitch , battery disconnect, front and rear LCI hydraulic leveling system/landing gear, pass through basement storage, 12 gallon gas/electric water heater, aluminum alloy wheels,50 amp service, rear ladder, remote control Pro Weather Electric awning with Alumagaurd cover and tinted windows. 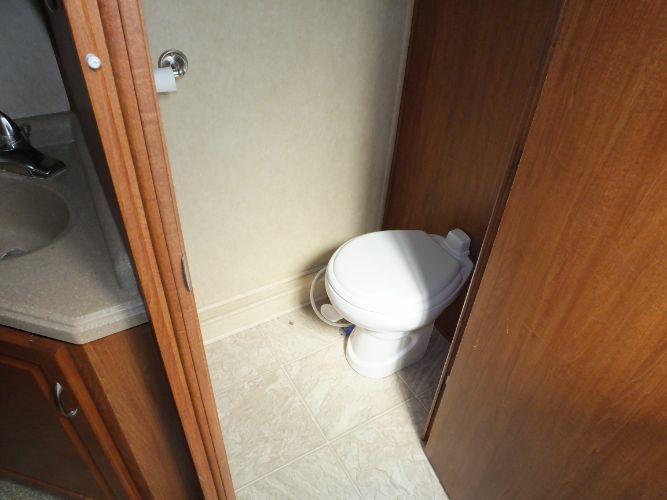 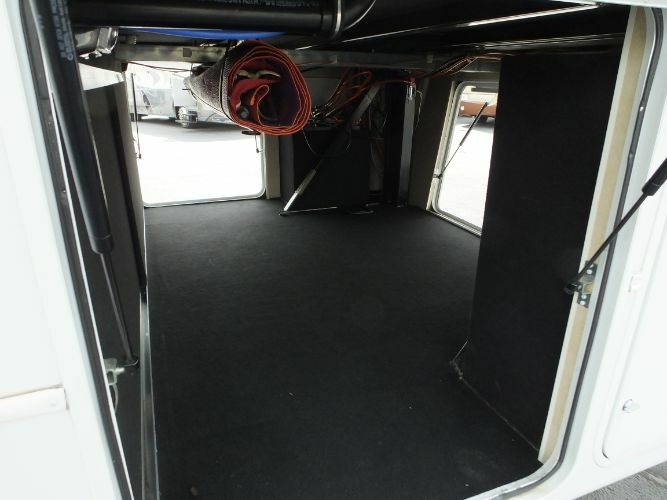 The camper is clean inside and out and everything works as it should.